It's time for a blog hop again! Welcome the Stampin' Addicts New Catalog Blog featuring products from the 2013-2014 Stampin' Up! Idea Book and Catalog. My friends at Stampin' Addicts have a great line up of our favorite new stamp sets and many amazing projects. Did you come from Carmen's Blog "Stamping Addiction" with Perfect Blend? I love coffee and I love her projects! After you check my post out, go to Heidi's Blog at "Running with Scissors Stamper" with the set Around the World. Her work is always amazing! 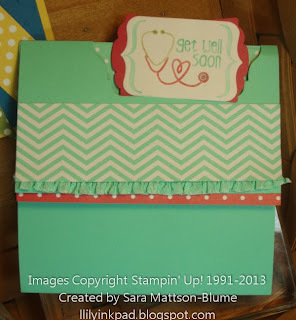 You can always chat at Stampin' Addicts if you like what you see or you get lost. 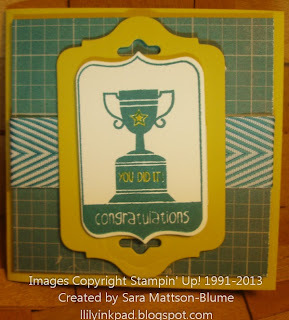 My posts are featuring the stamp set Tag It! Money from the sale of this set goes to my favorite charity, the Ronald McDonald House Charities. Tag It! is a really fun stamp set to work with--great images, great occasions, and perfect for a variety of projects! The Tag It! Stamp set coordinates with the Chalk Talk Framelits. 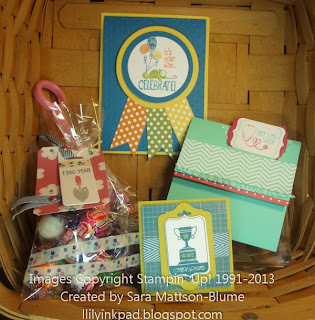 I used the largest tag with the Gingham Garden Designer Series Paper for a background tag. I markered the image in Island Indigo, Smokey Slate, and Melon Mambo and stamped. Later, I used another framelit to cut this image along with the hole framelit to make it into a tag. The tags are layered with the Island Indigo Chevron Ribbon, which I cut down the middle to make thinner. The brads are our new silver bases with the Melon Mambo Candy Dots. 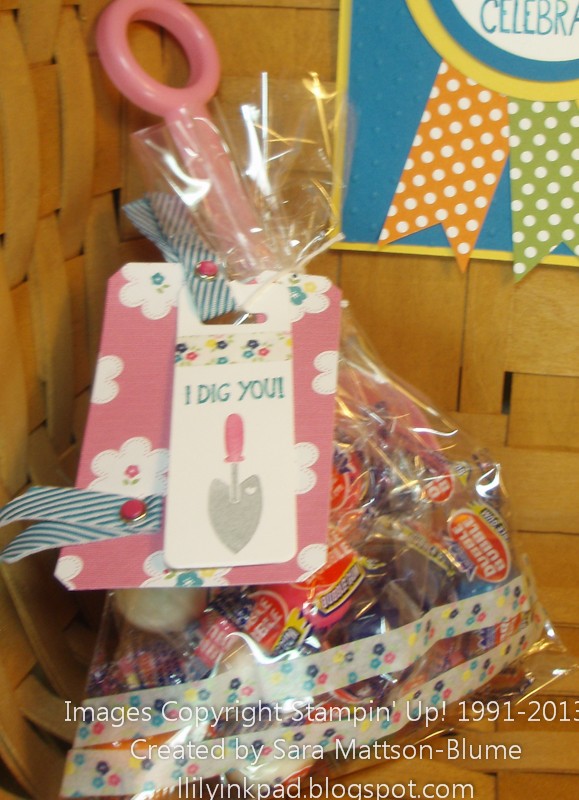 I also used our new Gingham Garden Washi tape on the bag and the tag to decorate. The cello bag is filled with a plastic shovel and gumballs--"I dig you!" Get it? My next project is a 3x3 Love Note that would be a great card to add to a present. I used the Soho Subway Designer Series Paper along with Summer Starfruit cardstock. I layered lables from the framelits and added more of the Island Indigo Chevron Ribbon for an accent. I colored the image with a Summer Starfruit marker after I stamped it in Island Indigo. My final cards will be featured this week with tutorials, including a video tutorial. This is one of my favorite cards I designed this summer. I knew what I wanted in my head and it actually worked. 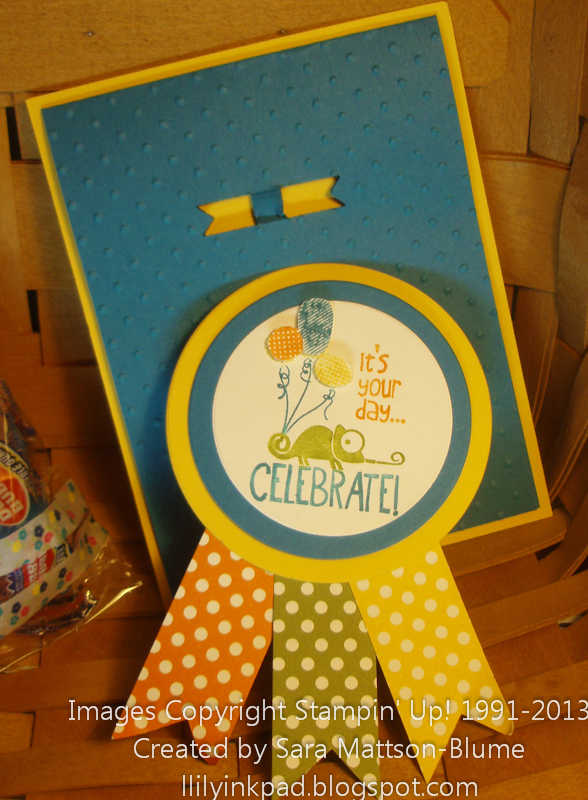 This card has a detatchable badge for the recipient to wear! On the back, I used crystal effects to add a jewelry finding! For this Get Well Card I used the flip flop fold that I adore. You'll see later this week how I used the framelit to cut the hole and used the new Artisan Label Punch for the layers behind the image. Check out that ruffled ribbon? It's in my new favorite color--Coastal Cabana. That's what I have! I hope you enjoyed my projects. Next up is Heidi at Running with Scissors Stamper with the set Around the World. If you want to go backwards, check out Carmen at Stamping Addiction with Perfect Blend. 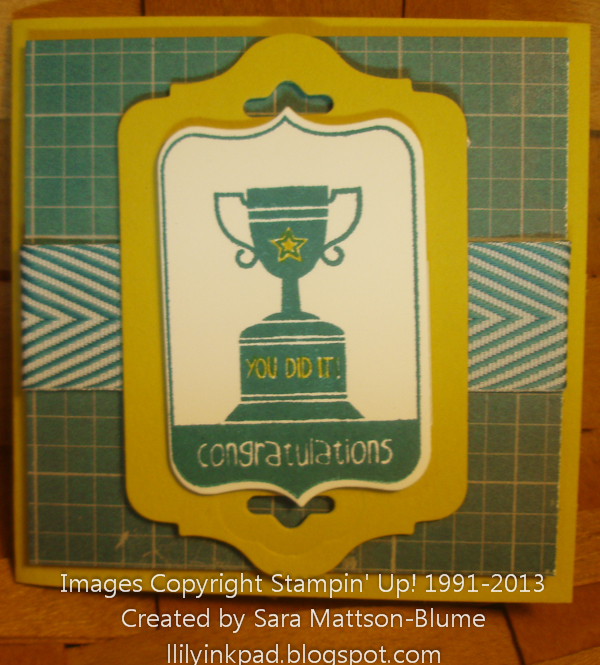 You can always chat at Stampin' Addicts if you like what you see or you get lost! I have a tag class coming up. You have given me a bunch of ideas. Thanks. These are all super cute! I love the I Dig You tag and the wearable Get Well Soon badge. I can't wait to see details on all of them. Have a great time at convention! Clever to make a wearable get well badge! And the little treat bag and tag is adorable too! Cute assortment of projects using this set. Great idea with the removable badge (looks like a prize ribbon)! Can't wait to get this set this coming week at convention! Adorable projects! The gecko ribbon is awesome! So cute!! I love this stamp set and I love the projects you made. I love the one with the removable ribbon. So cute! Great projects! Your little badge is soo cute - of course so is the bag full of gumballs!